While we offer quite a few direct integrations, you may come to find that one you use for your business does not integrate directly with ConvertKit. Never fear, you have options! 1. Search the integrations library. 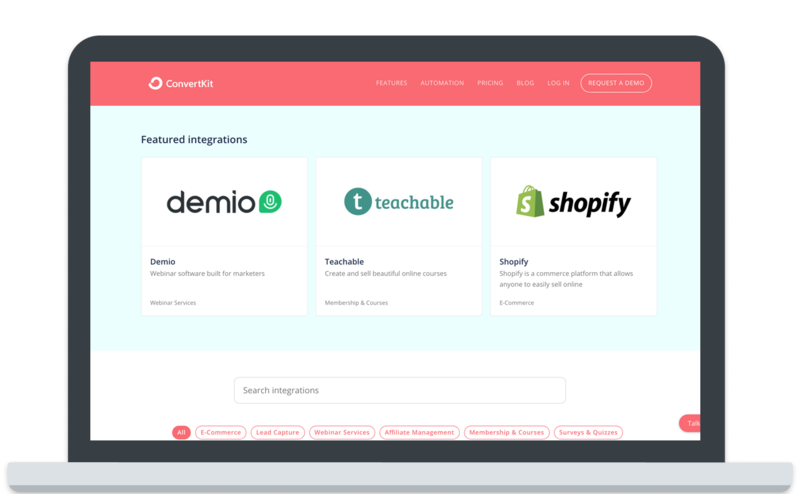 There are a growing number of awesome apps creating their own integrations to work with ConvertKit! You can find links to those in the integrations library. If you don't see the integration you need listed there, check out Zapier for potential workarounds. 2. Send a request to the app's support team. Integrations can come from both sides, and many of the apps you would like us to integrate with prioritize by customer demand. You can help speed up the process by submitting an integration request with the app's support team! 3. Send a request to support@convertkit.com. We take all integration requests seriously, but please understand our developer resources are limited, and our current priority is to improve our own app. You can find out more about our priorities on our Roadmap.